William Byrd was past fifty when he moved from London circa 1593 to the small town of Stondon Massey, Essex, where he lived the rest of his life. But according to traditional biography, Shakespere was just then getting started, so on that basis alone he and the great composer never even met each other. 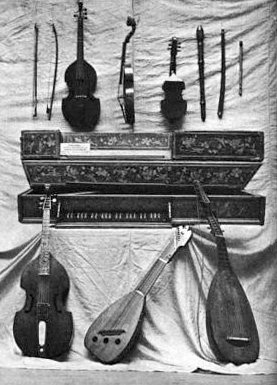 Edward de Vere, on the other hand, was twenty-two and enjoying the royal favor in 1572, when Byrd was named a gentleman of the Chapel Royal and began work under Queen Elizabeth as organist, singer and composer. 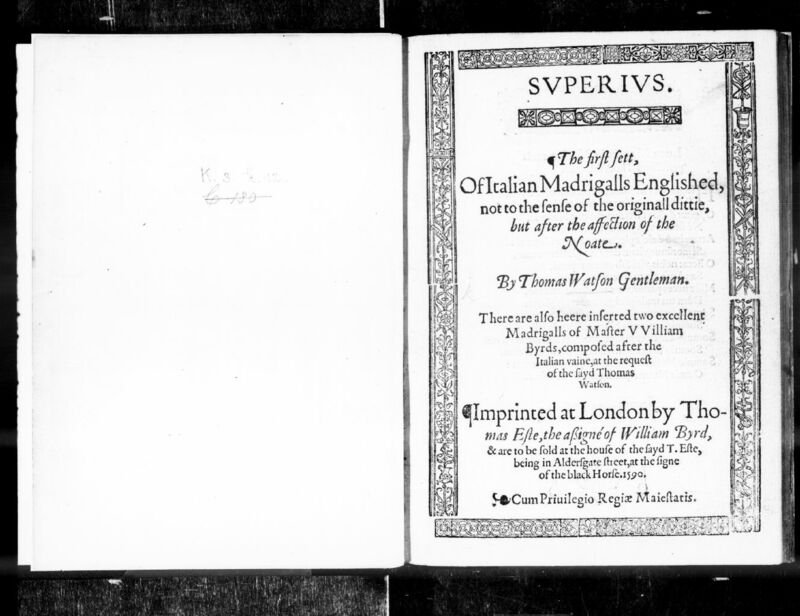 “Nothing is more astonishing in the whole history of music than the story of the English school of madrigal composers,” writes Michael Delahoyde, noting that the adapter ofThe First Sett of Italian Madrigals Englished in 1590 was Thomas Watson, who had dedicated his 100-sonnet sequence Hekatompathia: or Passionate Century of Love (1582) to de Vere, his patron. Inserted in that song-book are “two excellent Madrigalls of Master William Byrd, composed after the Italian vaine, at the request of the sayd Thomas Watson.” So we have Oxford connected personally and professionally to Farmer, Byrd and Watson, not to mention his company of musicians and that his many youthful poems were lyrics for songs. 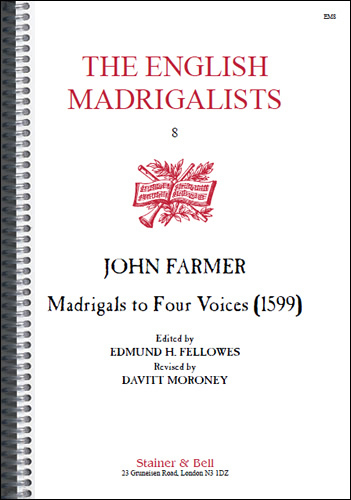 Clearly he was a driving force behind the sudden rise of the English Madrigal School. 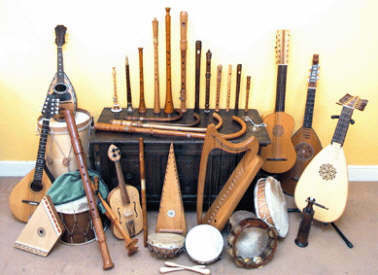 Oxford was an expert in music just as “Shakespeare” shows himself to be, though orthodox scholars, aware that Shakspere was no such expert, tend to play down that facet of “Shakespeare” works. The only way to maintain that the Stratford man was the greatest writer of the English language is to keep “dumbing down” the works themselves! 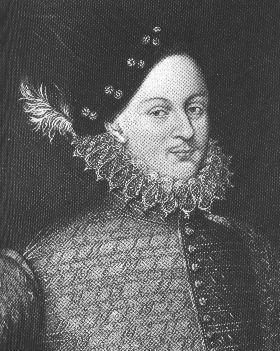 Imagine setting forth to investigate whether Edward de Vere, 17th Earl of Oxford was the true author of the “Shakespeare” works. 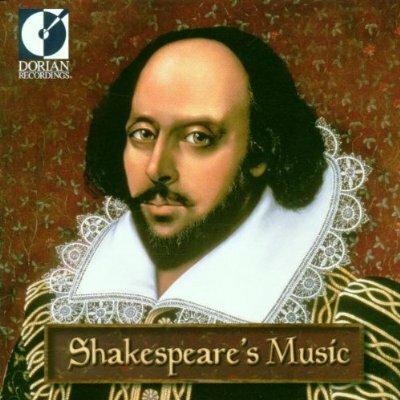 Now imagine going to Amazon.com and locating the site for an album called Shakespeare’s Music, complete with a portrait of the Bard on its cover … only to find that the first song listed is My Lord of Oxenfords Maske, a.k.a. 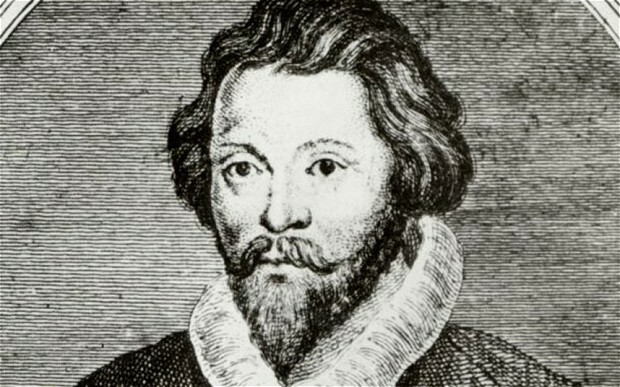 The Earl of Oxford’s March by William Byrd (c. 1540-1623), considered the greatest composer of the English Renaissance. It would be natural (and logical) if the best writer of that glorious age in England, who seemed to know everything about music, would have known and worked with the best composer of the same age – which, the evidence shows, is exactly what happened. 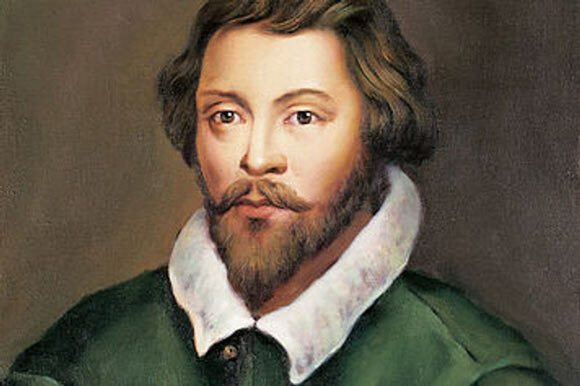 * William Byrd was past fifty when he moved from London circa 1593 to the small town of Stondon Massey, Essex, where he lived the rest of his life. 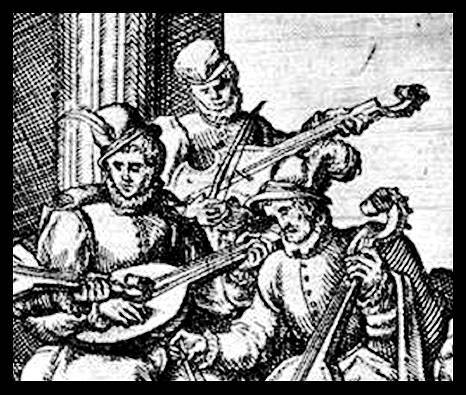 But according to tradition William Shakespere of Stratford-upon-Avon (1564-1616) was just getting started in 1593, so on that basis alone he and the great composer never even met each other. 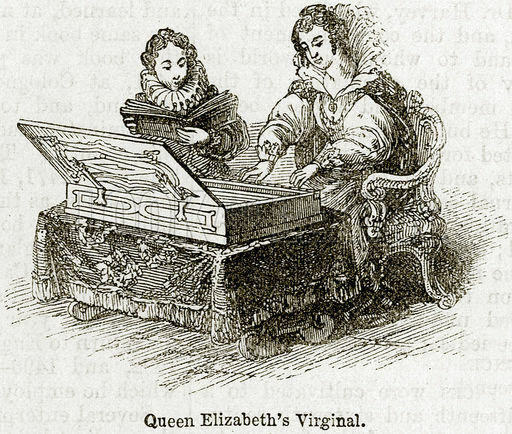 * Edward de Vere Lord Oxford, on the other hand, was twenty-two and in the highest of royal favor at Court in 1572, when Byrd was named a gentleman of the Chapel Royal and began work under Queen Elizabeth as organist, singer and composer. 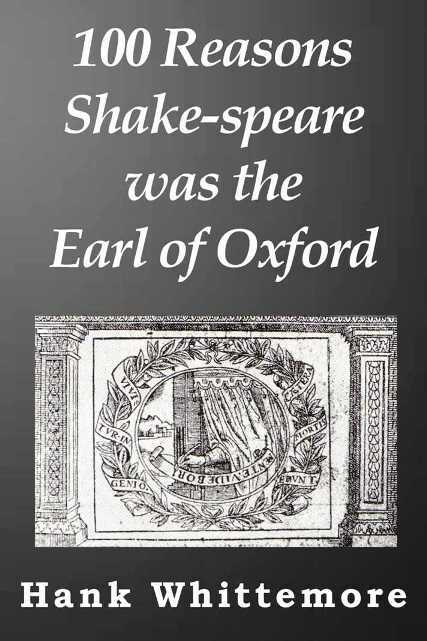 The evidence suggests “an association between Byrd and Oxford of at least ten years,” according to Sally Mosher, a highly respected authority on the subject, in an article for the Shakespeare-Oxford Society entitled William Byrd’s “Battle” and the Earl of Oxford, available online at the SOS website. The Chapel Royal consisted of some twenty-four male singers and organists who provided church music for the royal household. They remained with the Queen as part of her entourage, which included Oxford himself, as she traveled from palace to palace. Part Three of this Reason will be forthcoming soon. Meanwhile, as Mosher notes, William Byrd also composed a piece of music to a poem, attributed to Oxford, entitled If Women Could be Fair [see below] — included in a collection of Byrd’s vocal works published in 1588. I muse that men forget themselves so far. To play with fools, O what a fool was I.